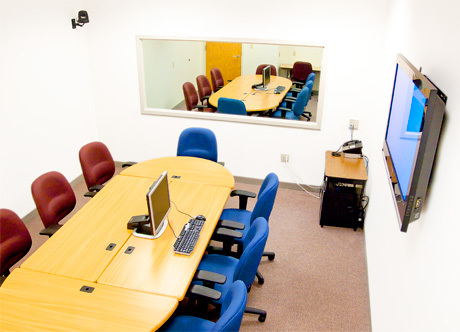 The ECHO (Enhancing Communication for Health Outcomes) Lab is a multimedia facility for conducting communication research with target audiences (e.g., study participants, patients, community members). We often collaborate with the Survey and Data Management Core (SDMC), which provides focus group moderation, coding, and data analysis. Researchers are also welcome to rent the lab to conduct their own research.